Epic News - You No Longer Need an Invite to Play Fortnite Mobile on iPhone or iPad! 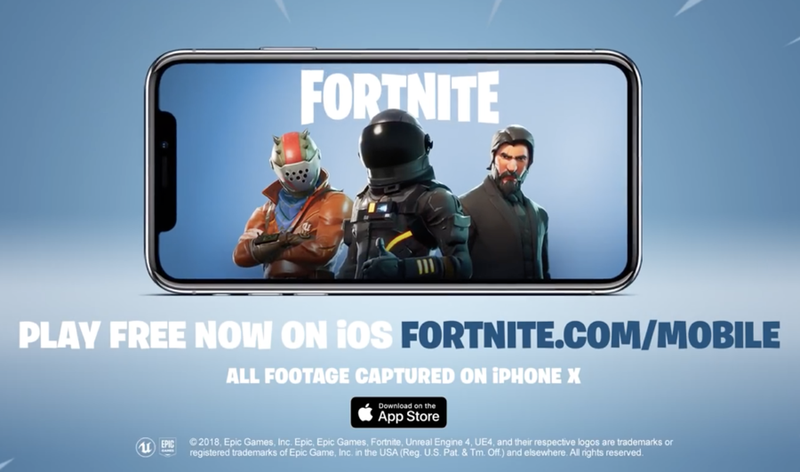 Epic News – You No Longer Need an Invite to Play Fortnite Mobile on iPhone or iPad! Fortnite Mobile Battle Royale for iOS is now open for everyone (no invite needed!) and anyone with a compatible device can download the game and start playing. Fortnite Mobile No Longer Needs an Invite – Download Today and Join the Mayhem! Released a couple of weeks back, the famed Battle Royale title Fortnite made its huge stride onto mobile with a launch on the iPhone and iPad. But of course, given the scale of the game, Epic Games wanted to take things slow and steady. That’s why it put an invite system in place so that players do not flood the servers overnight. It appears as though the gaming studio is running at its full potential now, with an official announcement alerting users that an invite is no longer needed to play the game. Just like PUBG Mobile, Fortnite is absolutely free to download and play. The aim is a simple one: the last man standing wins in a sea of 100 players once the battle starts. You even have the option to play the game solo if you like or end up being in a squad if that’s the route you want to take. Head over to the link which we have embedded below and join the fun.